When you're No. 3, you've got to try harder. So Sprint (S) is wooing AT&T (T) and Verizon (VZ) customers by promising to halve their bills if they switch carriers. The Cut Your Bill in Half Event, which begins Friday, provides unlimited talk and text to anywhere in the U.S. on the Sprint network and matches the monthly data allowance at half the rate of what AT&T and Verizon customers are paying. Sprint also will pay up to $350, via a Visa (V) gift card, toward early termination fees or installment balances. In the company's announcement, Sprint CEO Marcelo Claure called the plan " the best value in wireless." "It's as simple as this: Bring Sprint your Verizon or AT&T bill along with your phone, and we'll cut your rate plan in half," said Claure, who joined the company in August. "That's a 50 percent savings on your rate plan every month. And this great deal isn't just a promotion. This will be the customer's ongoing price." "We plan for the event to run through the holidays and have said it's available for a limited time," Sprint spokeswoman Jennifer Walsh told DailyFinance via email. "You may see fine print that says Jan. 15, 2015; however, we are keeping options open to extend beyond that." 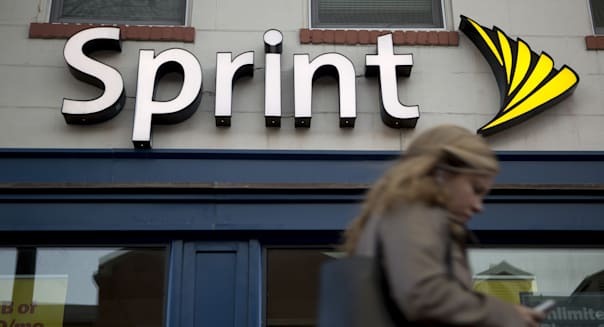 The rate cut is an aggressive move by Sprint, which was the lowest-rated major carrier in Consumer Reports' 2013 cellphone service survey, receiving low marks for "value, voice, text and 4G reliability." In November, Sprint announced it was laying off 2,000 employees after another disappointing quarter that reportedly lost 272,000 contract subscribers and $192 million.